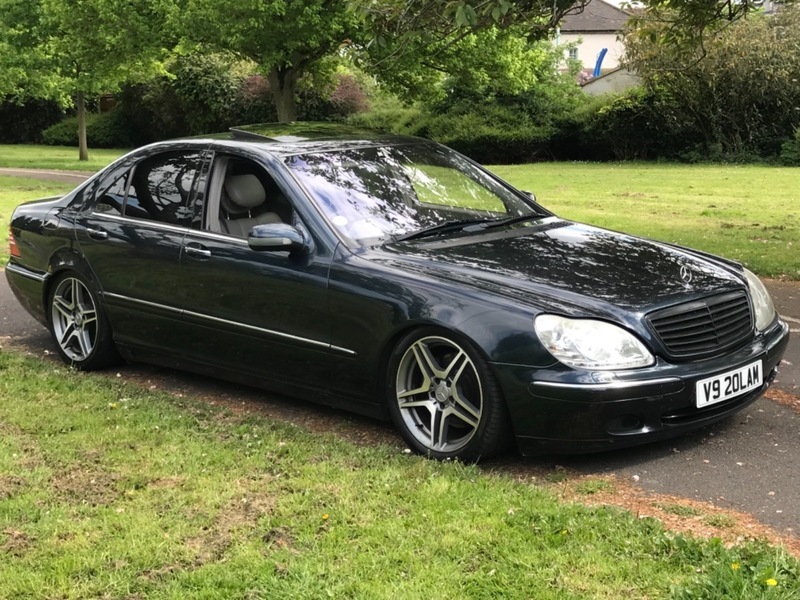 SSS Motors are pleased to bring you this Mercedes S Class S430 4.3 4dr. 136,000 miles, Automatic, 4266cc, Petrol. Great drive and fantastic handling. The car come with Rain Sensor, Brake Assist, Front Fog Lights, Speakers, Cup Holders, Body Coloured Bumpers, Traction Control, Safety Belts Rear, Safety Belts, Metallic Paint, Leather Seats, Engine Immobiliser, Electric Mirrors, Cruise Control, Catalytic Converter, Cassette Player, Adjustable Steering, Side Impact Airbags, Front Airbags, Sunroof, Power Assisted Steering, Electric Windows, Climate Control, Central Locking, Alloy Wheels, Air Conditioning, ABS. At SSS Motors, we pride ourselves in giving the customer a hassle-free and no pressure buying experience with no extra Admin or Buyers Fees. we offer a range of vehicles which are carefully selected. Our aim is to provide an unforgettable experience to all customers. All cars are pre-inspected before delivery with a fresh MOT.